The HP Envy ISS is launching with SpaceX's CRS-14 mission. In order to design a printer that would work in zero gravity, including paper management and waste ink management. The plastic on the printer had to be flame retardant and it had to be able to print in multiple orientations. 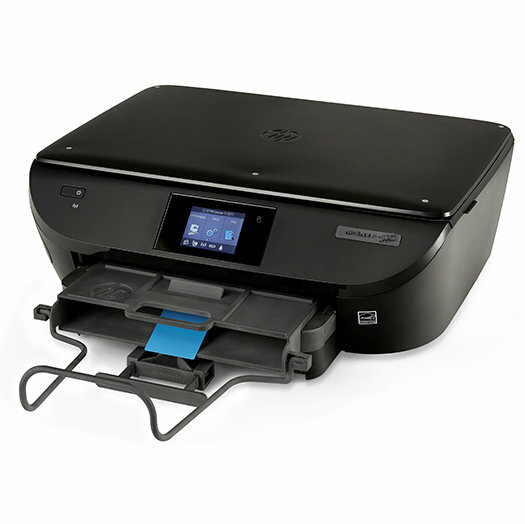 But thanks to 3D printing, HP was able to develop the Envy ISS, based on the OfficeJet 5740, which fulfilled all the zero-g requirements. The denizens of the space station go through about two reams of paper per month, printing out everything from mission critical information to personal letters and photographs. Astronauts aboard the ISS have begun to receive new HP ZBook workstations -- 120 will be launched in total -- and now they'll have two brand new printers to match.